However here is the list of books I was never able to find. Some are novels and collections.I'm curious if any of you have them,read them,familiar with them or any other comments.Some are well known authors and I have many of their other works,some are obscure. But they are all on the list for a purpose usually because of being significantly praised by an esteemed source. 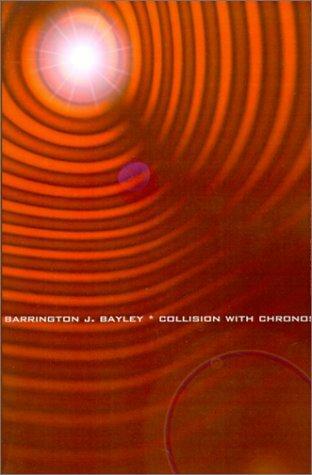 The main theme is about the essence of time itself which Barrington writes clearly (no headaches for me Wildfire) and has some interesting ideas. First he posits that "now" is the only moment that has consciousness or,in essence,life.If you go into the past you would only find the empty husks of past beings going thru the motions.You can't change the past. Going to the future would only find complete emptiness-a placeholder until its time comes. "Nows" are local.In other parts of the universe it could reside a day in the future and therefore you would never notice it. "Nows" could also exist in the far future. Can this Collision Couse be avoided? 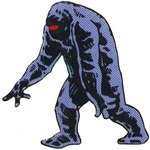 Will the Titans and their repressive,racist government maintain its position? One of my favorite short story collections is They Came From Outer Space: 12 Classic Science Fiction Tales That Became Major Motion Pictures which has an introduction by Ray Bradbury. I highly recommend this if you're a science fiction fan. Bradbury's intro titled "The Turkey That Attacked New York" describes how his short "The Fog Horn" was turned into the movie The Beast from 20,000 Fathoms (1953), a film which he personally was not too happy with. A few other short stories included are "Who Goes There" by John W. Campbell, Jr. which was turned into The Thing from Another World (1951), remade into John Carpenter's The Thing (1982) and more recently The Thing (2011). Harry Bates' "Farewell to the Master" which was adapted into The Day the Earth Stood Still (1951), I actually prefer this short story to either film versions. "The Alien Machine" by Raymond F. Jones filmed as This Island Earth (1955) and "A Boy And His Dog" by Harlan Ellison are also featured. A cool feature to this book is that is shows behind the scenes pictures from movie sets like The Fly (1958) with Vincent Price and Death Race 2000 (1975) with Sylvester Stallone. My favorite picture features a candid moment between one of my favorite science fiction authors and one of my favorite directors. 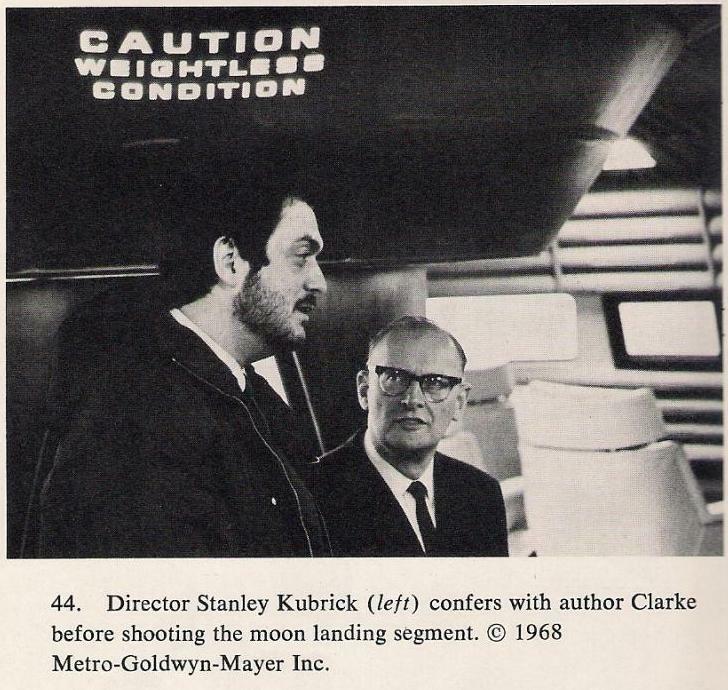 Arthur C. Clarke's "The Sentinel" was eventually developed into 2001: A Space Odyssey (1968). The Essential Ellison has a bit too much for me, but it includes all his short stories. And many are such great classics. "Repent Harlequin Cried the Tick Tock Man" and all that. The Past Through Tomorrow is my favorite collection of Heinlein stories which together present a vision of the future. 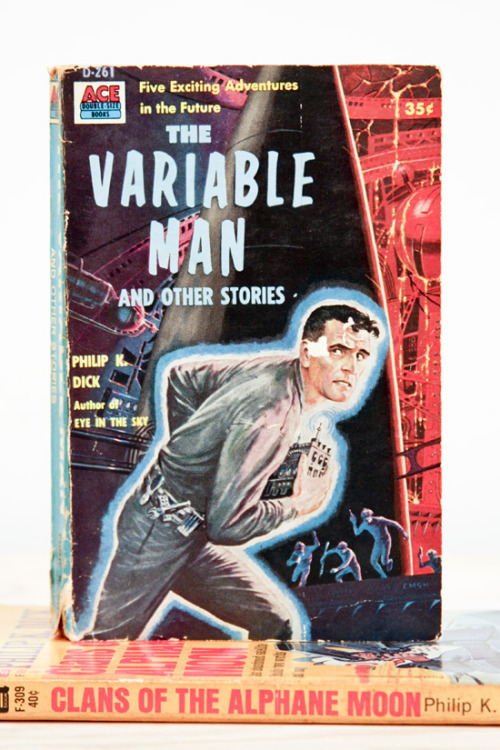 The Man Who Sold the Moon is in that collection and one of my favorite sci/fi stories ever. Recently finished reading the Roger Zelazny anthology The Last Defender Of Camelot which I really enjoyed. 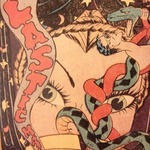 This collection includes both science fiction and fantasy stories. Zelazny gives a brief introduction to each short story and there are some great ones including The Stainless Steel Leech, The Engine at Heartspring's Center, Is There a Demon Lover in the House? and The Game Of Blood and Dust among others. My favorite story is the novelette For A Breath I Tarry. It's set in a future after the extinction of human beings where after contemplating the differences between Man and Machine one of the sentient machines decides he wants to actually become a man. This is an incredible story with a great ending and could make an equally good CGI film. The novelette Damnation Alley features an ex biker who must go on a cross country ride through radioactive post apocalypse America to deliver a plague cure from California to Boston. Zelazny mentions that he had written this after reading Hunter S. Thompson's Hell's Angels. He also mentions it was later adapted into a book which was adapted into a film. This is one of the best action adventure stories I've read in awhile. Another of the novelettes featured that I find interesting He Who Shapes about a future where the protagonist, Charles Render, a neuroparticipant therapist has the ability to go into people's consciousness using a machine. It reminded me of Christopher Nolan's Inception. Of course this story was written in the 1960s, 30 years before the film was made. The short story the collection is named after The Last Defender of Camelot is about Lancelot who has lived for 200 years after the fall of Camelot. After helping to awaken a half mad Merlin he must stop the wizard to save the world. This is a really entertaining story and the reason I picked up this collection in the first place. In the short A Thing of Terrible Beauty an alien parasite has a conversation with his human host as the world is about to be destroyed. The man walks over to his record collection pulls out Miles Davis' Sketches of Spain, starts to play the song Saeta and says "I've always maintained that it is music for the last hour of Earth. If Gabriel doesn't show up, this will do." Haruki Murakami's On Seeing The 100% Perfect Girl One Beautiful April Morning is an absolute favorite. A fairly quick read but a great impact at the end. I thought this was going to be about short comic-book stories. Maybe this should be merged with the "novel" thread for one SF prose thread? I'm not a big fan of magic but this one caught my eye because Isaac Asimov's name is real big on the cover. 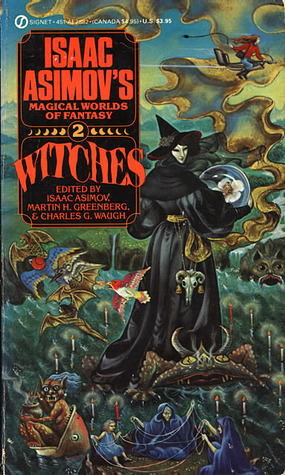 This collection is called Witches: Isaac Asimov's Magical Worlds of Fantasy #2. I recommend picking it up just for the Poul Anderson story Operation Salamander. It's a very fun story set in a world where magic is basically science and a fire elemental terrorizes a town. There is also a very good Robert Bloch story called Sweets to the Sweet which is super creepy. It also contains stories by A. E. van Vogt, Andre Norton, and one of my particular favoritess by Rufus King called Malice in Wonderland. Definitely check this collection out if you are a fan of magic or Asimov. I actually plan to talk about a lot of short stories that aren't science fiction (maybe I should have started with one). Currently I'm half way through reading the collection Charles Dickens' Best Stories for example. Is anyone familiar with the western short stories by Robert E. Howard? I am having trouble finding the other stories that feature the main character from the short story Meet Cap'n Kidd. It appears in the collection Swordsmen and Supermen along with stories by Jean D'Esme, Darrel Crombie and Arthur D. Howden Smith. My favorite is the last story called How Sargoth Lay Siege to Zaremm by Lin Carter. If there are no objections I'm okay with merging the threads as long as I can post about stories that aren't science fiction / fantasy like westerns, horror, slice of life, etc. Maybe change the name to be more all encompassing, books, reviews, notes what ever you're reading kind of thing. I have indeed some around a bit. If you can include non-genre works, and at the risk of appearing a snob, my favourite short story writers are Alice Munro, Borges, Raymond Carver, James Salter and E.L. Doctorow. Of course I also love the pulps (Lovecraft and REH) and guys like Machen, Poe, Dunsany and Blackwood. I must say I'm really not a fan of sci-fi literature, short or novel length.